This is the latest in a series where we look back at Celtic players who joined the club late on in their careers to give valued service. I well remember one afternoon in the summer of 1987 shortly after Billy McNeill had taken over from David Hay as Celtic manager. A few friends and I used to meet up each Saturday afternoon in the Tall Cranes pub in Govan during the close season to discuss all matters Celtic. On this particular afternoon a Daily Record was produced to enlighten us that Celtic were signing Aberdeen’s 31 year old veteran midfielder, Billy Stark. Stark had enjoyed a fantastic career at St Mirren and Aberdeen but he had endured a difficult last few months at Pittodrie when the Aberdeen fans were said to have turned against him. With Graeme Souness’ Rangers signing big name players from England, it was rather depressing to see Celtic’s interest in Stark, who was perceived as being well past his best, for a paltry £75,000. Billy Stark entered into Celtic legend on the day of 29th August 1987. Rangers travelled to Parkhead with an array of international stars whilst Celtic’s new signings – Billy Stark, Chris Morris and Andy Walker – had been more considerably more modest investments. As it was, Celtic played their rivals off the park and should have won more convincingly than the 1-0 score line. 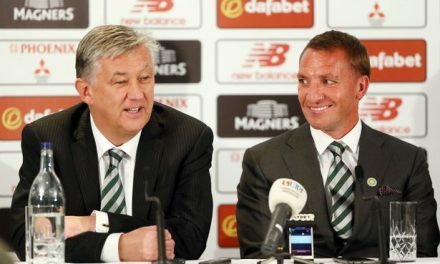 Not only had Celtic won but they had won playing the Celtic way, with attacking, entertaining football. The two biggest talking points of the game involved Billy. In the first half he finished off a fine flowing, attacking move with a drilled low shot past Chris Woods, to claim the game’s only goal. In the second half he lost his right boot for a few seconds and Rangers’ player manager, Graeme Souness, lunged at him wildly and was deservedly ordered off for his efforts. In a Celtic Underground interview with myself in 2015, Billy had confessed that he had enticed Souness into the tackle, knowing that without his boot it would look particularly bad. He also admitted that he was experienced enough to know it was coming and avoid considerable impact to prevent serious injury. From that day onwards Billy Stark was a fans’ hero. Stark enjoyed a great season and formed a terrific combination with Chris Morris on Celtic’s right flank. Billy’s clever off the ball running and passing allowed the speedy Morris a clear run down the wing and the pair provided great service for the Celtic strikers. However, goal scoring from midfield was Billy’s forte and he claimed a terrific total of 13 goals. Perhaps the most important was in a closely contested Scottish Cup replay at Easter Road when he scored with a brilliantly timed header after a Peter Grant shot had crashed off the crossbar. 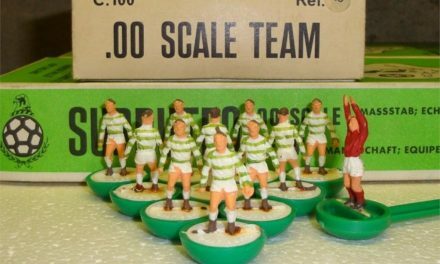 Billy was disappointed when he was left out of the Celtic line up against Dundee United in the 1988 Scottish Cup final. Billy McNeill had predicted beforehand that it would be a 13 man game and he was proved correct. Billy and Mark McGhee were Celtic’s subs and both came on to make telling contributions as Celtic came back to win 2-1. Billy commented afterwards that he knew Celtic would win after he won a corner at the Celtic end and heard the fans roar. He had never heard noise like it. He was hugely instrumental in Celtic’s centenary double success. Billy carried on his good form in 1988-89 although Celtic’s form was mixed. He scored the vital opening goal in the win over Honved in the European Cup but a bad start to the league campaign cost the Celts badly. However, they did battle through to another Scottish Cup final in May 1989, this time against Rangers on a blisteringly hot day at Hampden. This was a very tense affair and one blunder by Rangers’ defender Gary Stevens allowed Joe Miller to score and take the cup home to Parkhead. By 1989 Billy was 33 and injuries were taking their toll. He missed most of that season as Celtic lost a great deal of experienced players and struggled to replace them. Mick McCarthy, Tommy Burns, Frank McAvennie, Mark McGhee and Roy Aitken all left within a short period and Celtic appeared rudderless without those hugely experienced individuals. Billy did return for another Scottish Cup final, this time against Aberdeen, where Celtic lost narrowly by 9-8 on penalties after extra time. 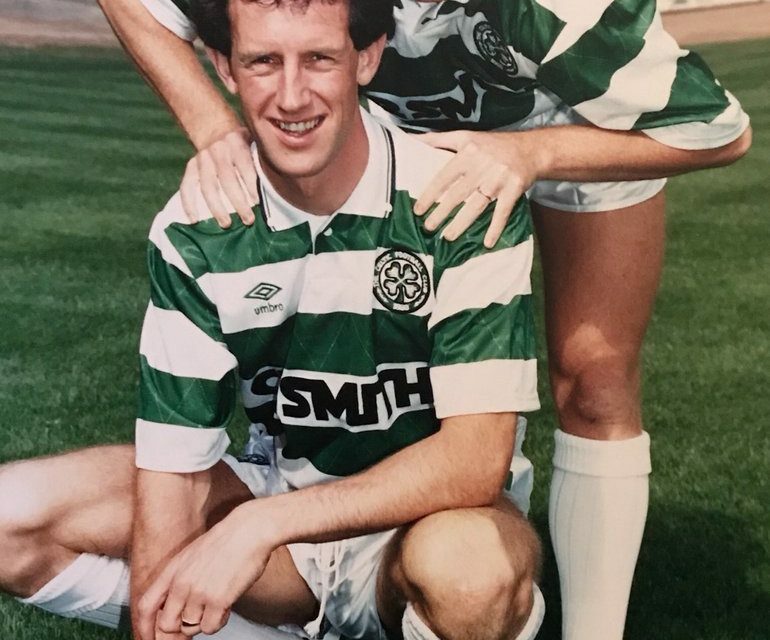 In the summer of 1990 Billy was transferred to Kilmarnock where he joined his old Celtic pal Tommy Burns. Shortly after, Burns became Killie manager with Billy as his assistant as the two men enjoyed a very short but successful managerial career at Rugby Park. Billy Stark was a footballing thoroughbred. He was a classy, intelligent player who had no need to dive into silly tackles as he had the intelligence to intercept in midfield and steal possession. He won over a huge number of Celtic supporters with his talent and particularly his happy knack of scoring important goals from his midfield berth. 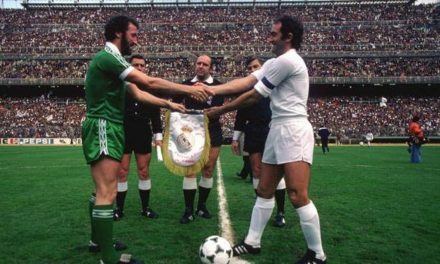 It was an absolute privilege to have watched Billy Stark play in the green and white.